Since the early 1900's our family has been involved in the construction and real estate world. A great-grandfather helped build the Imperial Highway in Orange County with horse drawn teams. 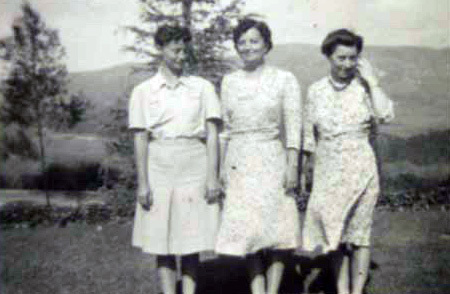 A great-grandmother owned a lumber yard with her sisters. Grandpa Sam sold real estate. Grandpa Dane was a lumber salesman. It's in our blood and it's our passion. My dad began building homes just after high school. After serving his country in the Navy, he got out just a couple of years before the big recession hit in the mid-70's and interest rates skyrocketed. Just a few months after I was born, finding a job meant traveling all the way to Thibodaux, Louisiana to be a superintendent on a low-income housing track. He would let people do various jobs on site to earn extra money for a down payment, which upset some folks in town. He didn't let that deter him. The way he had it figured, if they were good enough to serve their country, they were good enough to get a chance at the American Dream of owning their own home. I remember going to the job site a lot as a little girl. Walking through framed houses with my Dad, sweeping out garages, picking up nails and maybe, if I did a real good job, we'd go to the coffee shop afterwards and have a huge cinnamon roll and a tall glass of milk. I remember sitting in the water truck with my mom driving and getting to pull the lever to make the water come spraying out. At the end of the day, I can remember the sense of pride everyone had when they took a look around and saw what they had built with their own hands. Especially, when a family moved into their new home. As a teenager, we attended a movie premier in the first Edwards stadium-style theatre, that my dad built with his partners. I watched a department store be converted into a new county office building. I also got to tour the new state-of-the-art Orange County Forensics lab they built for the sheriff's department. He and his partners did some residential construction, but mostly the other two were geared more toward commercial construction and so their business followed along that path of development. The summer of 1997, a year before I finished college, my parents went on a three month trip across the country in their RV to research our family tree. They learned a lot of history, much about our country, and even more about themselves. During the next few months, we spent a lot of time talking about pursuing our dreams and the difference between a job, a career, and doing what you love. That following spring, dad came home from work one day and sat us all around the kitchen table for a family meeting. I remember vividly, him telling us about how he was going into the "twilight of his career" and how he wanted to end it pursuing his passion of building homes, instead of just going to work. Then he said, "Well girls, there's 57 acres in Laughlin, Nevada and I think we can do this on our own." By the end of 1998, we moved to Laughlin, started Peake Development and began to live out our dreams and pursue our passion of building a home for you, as if we were building it for ourselves. We finished our first homes in 2000 and have gone on to build over 220 homes in Laughlin, Nevada. Now, I get to walk the job site with my son. I get to watch him pick up nails, run around with his hard hat pounding on 2x6 boards with his little hammer, and sit in his Grandpa's lap while they make the bucket go up and down on the tractor. I see him running up and dragging me over to his toys to proudly proclaim, "Look Momma, I built you a house!" And as he grows up, I look forward to teaching him the values that I learned from my parents and they learned from theirs. That it's only a good deal if it's a fair deal. To price your product according to true value, not market frenzy — don't get greedy, they are your neighbors. The craft of building a home or anything is a team effort, no one person is more important than the other. Don't forget to give somebody a chance to succeed. Never let success go to your head, it could be gone in the blink of an eye. Take pride in your work and you'll always give it your best effort. Don't be afraid to fail and if you do, learn from your mistakes. Everyone deserves a chance to earn the American Dream. And finally, dream big because dreams show you your passion and when you're passionate about something, you can make yours and maybe even someone else's dreams come true.